The woman was eight months pregnant and had gone to the market when she was hit by a reversing car. Noida: A 28-year-old pregnant woman was killed after a minor parking attendant lost control over the car he was pulling out of the parking area and rammed her in Noida last night, police said. The woman was eight months pregnant and had gone to the Sector 18 market with her husband when the couple were hit by a reversing Honda car. 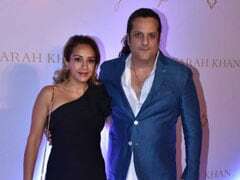 The police were informed who rushed the couple to Kailash Hospital in Sector 27. While the woman was declared brought dead, the doctors say her husband is critical. The Noida-based couple belonged to Bareilly and were expecting to deliver in the next few days. According to the police, the teenage parking attendant, not more than 14-year-old, was taking the car out of the parking lot and as he reversed, he couldn't control the speed of the vehicle and ran over the couple. The eyewitnesses say that the driver hit two other cars before crashing into a pole. Shvetambar Pandey, Circle Officer, Noida Police, told news agency ANI that the parking attendant has been arrested and investigations are on.